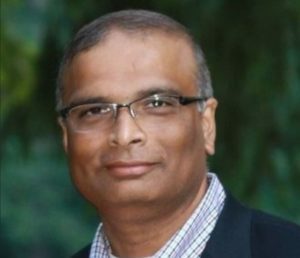 SAN FRANCISCO, CA — Anil Reddy is the CEO and Founder of Lasai Technologies and is a member of the Technical Standards Committee at the International Data Center Authority. He was formerly Microsoft’s Head of Cloud Infrastructure Strategy and Global Data Center Capacity Acquisition & Management. Anil is proven executive with 28 years of creating successful businesses, products, regions and winning teams. Born in the Cloud-Incubation to maturity. Strong hands on experience in building products, solutions, GTM strategies and execution. Focus on data driven decision making, with a strong penchant for execution. Reddy will be a featured speaker at CapRE’s upcoming Eighth Annual Northern California Data Center & Cloud Infrastructure Summit, February 25 & 26 in San Francisco. Below, we caught up with him to talk about the NorCal data center arena. CapRE: Thanks for chatting with us, Anil. Let’s talk about Northern California. What’s the driving force in this region? Reddy: NorCal is expensive. The cost of real estate is expensive, and to tie it in with how much is available, for the cost of land, the business models just make it prohibitively hard for data centers to actually do business there. Because if you start looking at hyperscalers, the kind of demand they’re driving and the cloudification of enterprise workloads, it’s going to be running on economics. CapRE: What does that mean, exactly? Reddy: I mean, everybody does design. Design does not become a unique factor for competitiveness. Pretty much most companies are looking at white space. They’re not looking at anything else. As long as it meets the industry standard PUE, it comes down to economics – the cost of power, the cost of the space. If you put them together and look at the TCO, northern California, unless they do something or provide better fiber connectivity outside San Francisco, where it’s cheaper, it will be hard to continue to do business. And look at Phoenix – it’s a classic example of business going away from Northern California. 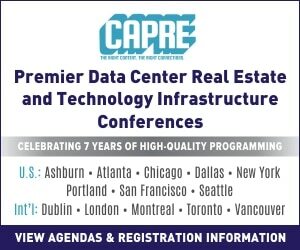 CapRE: What do you think will be top of mind for attendees at CapRE’s upcoming Eighth Annual Northern California Data Center & Cloud Infrastructure Summit? Reddy: One thing is how you commoditize the network – there is a lot of demand for sub-sea cables, for example. The cost is very high and a lot of it is monopolized by the hyperscalers, to name a few. And what does it mean for the others? When I say others, it’s the American enterprise. Especially with 5G rolling out, there is going to be a lot of demand for bandwidth. Some of it will be provided by mobile networks, but still. That should be given a lot more thought. The second thing is that, from the protection of the data center industry in Northern California. How do they affect change so that they don’t lose out to Reno or Phoenix? CapRE: What do those markets have that NorCal doesn’t? Reddy: What is attractive is the cost. The cost of land is cheap. And there’s an abundance of land for expandability. The local governments here are making everything possible to make sure the internet exchanges and power are available for data center operators. That’s why it’s becoming very attractive to build hyperscale data centers there, versus doing it in Northern California. I’m not talking 40 or 50 megawatts, I’m talking about a quarter to a half of a gigawatt. CapRE: What would happen if the economy slowed down? Would it affect NorCal specifically or the industry more broadly? Reddy: I think it’s more likely to broadly impact the U.S. It’s already predicted in 2018 that the utilization of data centers would slow down. But it’s all cyclical. We should see a boost back up in 2020. Because the demand will grow. The current political environment is not helping by the way. There’s a lot of ambiguity. Companies divesting from their data center resources are slowing down. So we have to wait and see how things play out but we it won’t slow down forever. 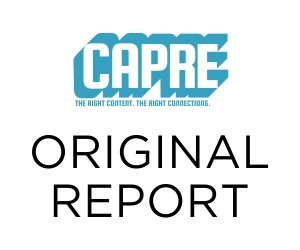 CapRE: What other trends are critical to consider as we evaluate the NorCal data center arena? Reddy: There is one aspect to look at – as every country starts adopting their own data privacy standards and data sovereignty standards, that’s going to have an effect on the U.S. data center industry. There’s a lot of hosting and colocation done in the U.S. for providers in different parts of the world. With new data protection laws and data sovereignty laws being enacted by the government, which requires data to reside within countries, there will be changes. That means more data will flow back into those respective countries, and we will see a slowdown from that. It won’t be a significant impact, but it will hurt for a little while. CapRE: Are there any other challenges or clouds on the horizon we should be keeping an eye on? Reddy: It’s primarily the infra-cost. The cost of putting in data centers is high. The major chunks of these businesses are being taken by the hyperscalers. If you look at any data center provider CyrusOne or whomever, they quote the hyperscalers. That’s become their core business now. You’ll have to notice that many of these guys are looking at many markets. As long as the financial sector is still in Northern California, the demand will be there, but not as much as it could be if the infrastructure costs were down. CapRE: Got it. Thanks for your time, Anil.